When deciding on a manicure, it can be difficult to choose between fake nails and some type of nail polish. For a while, people always preferred fake nails because they lasted longer, but advances in gel nail polish formulas have created nail polish that is just as long-lasting as fake nails. If you are having trouble choosing what your next manicure should be, here are a few things you should take into account. One of the biggest advantages of fake nails is that you can choose any conceivable length or shape because the acrylic nail is applied over your actual nail. 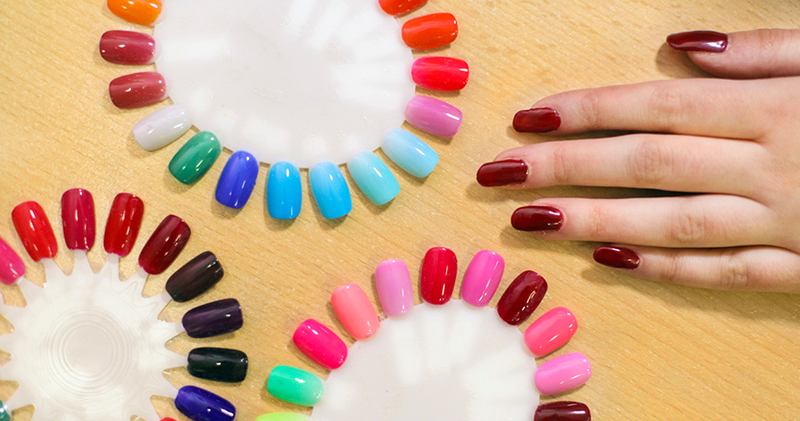 This means that you can try out edgy stiletto nails or classic square tips at any time. Nail polish changes the color of your nails, but it does not actually change the form of the nail. Therefore, you are limited to your natural nail length, and you have to permanently alter your nails by filing them if you want a new shape. 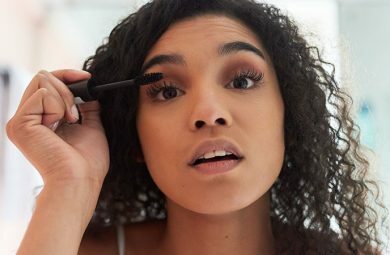 Regardless of the type of nails they choose to get, most women want their nails to seem natural. If you get high quality fake nails, there will not be much of a visible difference in appearance. However, they will look slightly thicker, and the fake nails may appear to have a smoother texture. When applied incorrectly, acrylic nails can appear very unnatural. Nail polish tends to look more natural than acrylic nails, and it will also feel less rigid on the tips of your fingers. Fake nails, made from durable acrylic material bonded to a person’s fingernails, last for a very long time. Typical nail polish can start to chip and look old in just a few days, but newer gel polishes tend to last a bit longer. However, fake nails continue to be the longest lasting option. This will depend on the quality of your fake nails or nail polish, but typically, normal nail polish is always the cheapest option. Acrylic fake nails cost slightly more, but their price is still lower than the cost of gel nail applications. It takes a little over an hour and a half to apply fake nails or use gel polish, but it may be longer if a more elaborate design is done. Basic nail polish takes under an hour, since it does not need to be cured like acrylic nails. Acrylic nails are fairly straightforward to remove—just a simple soak in a solution. Regular nail polish is also easy to wipe off the nails with the proper nail polish remover. Gel nail polish takes several minutes of soaking the nails in pure acetone and then scraping the polish off. Gel nails are so hard to remove that some people just choose to let them grow out over time instead of getting them slowly stripped off the nail by a professional. Ultimately, fake nails can harm your actual nails if you wear them constantly. 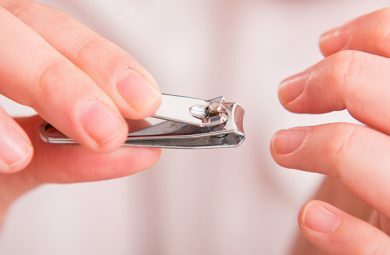 This can lead to thinned, peeling nails that break easily, so most experts recommend that people give their nails a break between fake nail applications. This issue also tends to happen with gel nail polish manicures. Normal nail polish typically does not harm a person’s fingernails or nail beds in any way.